Keeping windows/doors shut during the spring. Take your shoes off before you come into the house. 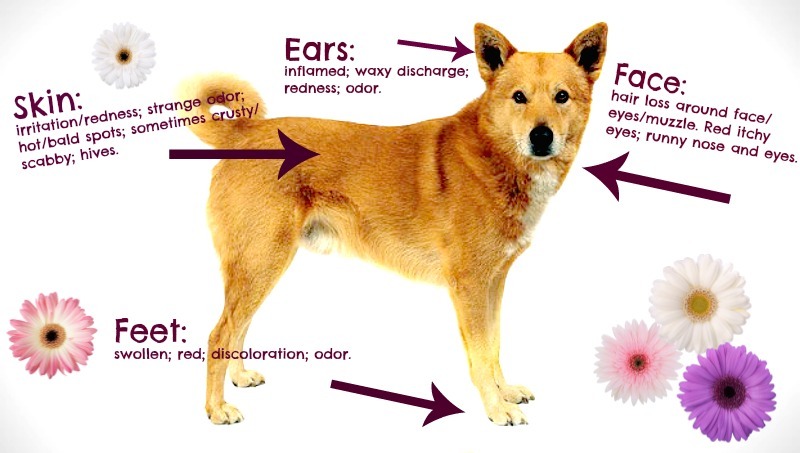 Give your dogs coat and feet a good wipe down before coming into the house. Run an air purifier in the house. Vacuum your house often and wash your pets bedding frequently. Soothing oatmeal and aloe baths. Apple cider vinegar can soothe dry and irritated skin. Herbal medications like Calendula ointment can relieve itch. Supplement your pup's diet with flaxseed oil, which is said to reduce the effects of allergic reactions. Cleanse your pet's ears with an ear solution such as Zymoxch Ear Solution which uses enzymes to combat antibiotic resistant microorganisms.